I just wanted to send a note to let you know that I'm very pleased with the Pro Series 3 Radon Detector (for reasons I'll explain), and to follow-up on some earlier advice you provided for my situation. 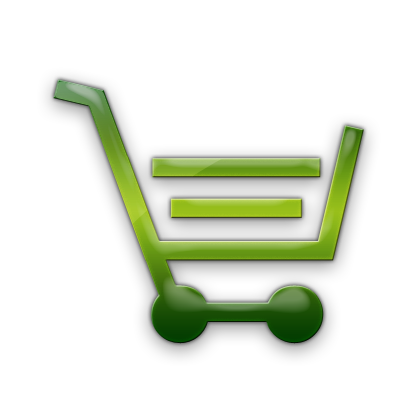 I wanted to perform a follow-up test, so i decided to place the short term AirChek test kits on all three levels of my home as I have forced air (another good tip from your site). The results were again very low: Basement = 0.7 +/- 0.1 pCi/L, 1st Floor = <0.3pCi/L, 2nd Floor = <0.3pCi/L. I decided to purchase the Pro Series 3 Radon Detector to perform short and long term monitoring, and after the first couple of days with the unit plugged in for short term testing I got a reading of "1.4". This made me think the unit wasn't calibrated right, or maybe there was some change in the radon level (?). I then remembered that I performed the short term AirChek tests WITHOUT running both my basement dehumidifier and HEPA air filter (Austin Air HM 400). after a few days the reading on the ProLab series three was EXACTLY the same as the AirCheck test results: "0.7" and the next day"0.8". This basically sold me on the sensitivity of the unit, which I now consider a tremendous bargain considering the high cost of professional electronic radon monitoring devices. 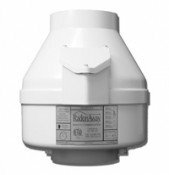 I'm going to continue to monitoring the radon levels using the Pro Series 3 unit, and depending what I find in the Fall after running a long term test, I might decide to install one on the radon fans you suggested: Radonaway RP140. 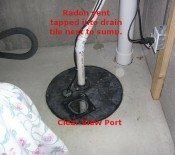 I have a 3" Schedule 40 PVC 'passive radon' pipe running from down from my roof to my sump pit, which is connected to a tile drain system around the house with gravel underneath the slab and emptying into the pit with one opening. The total length of the PVC pipe run to the roof is 60 feet with two 45 degree bends, and seven 90 degree bends. How do I consider the length of the pipe run and the multiple bends when choosing a fan? Assuming the radon levels in my home stay very low, will the RP140 have enough suction to compensate for the pipe length and bends? If the level stays low or in the 4 to 6pCi/L range your pipe run will likely be fine with Radonawy RP140. This also assumes your basement is <1500sq/ft. Otherwise the RP145 is your best bet with 3" pipe and larger foundation areas. I know the pipe size was not your choice, but I will always suggest 4" pipe with gravel and drain tile systems as higher air flows will be expected.